Leg warmers are making a come back. 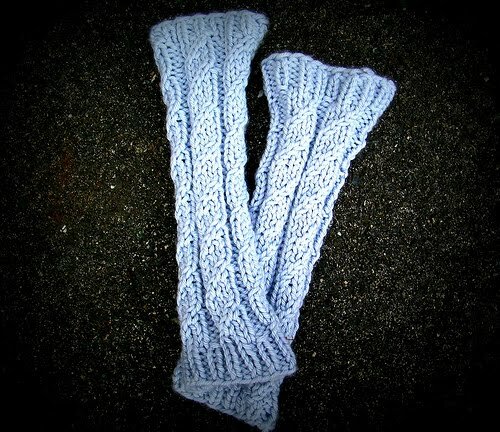 These leg warmers were a fast knit using a super bulky yarn and a large needle. Knit in the round, the pattern is cabled but you don't have to use a cable needle. They are soft and cozy too. This pair was made with Debbie Bliss Cashmerino Superchunky which has just enough cashmere to make them feel luxurious. 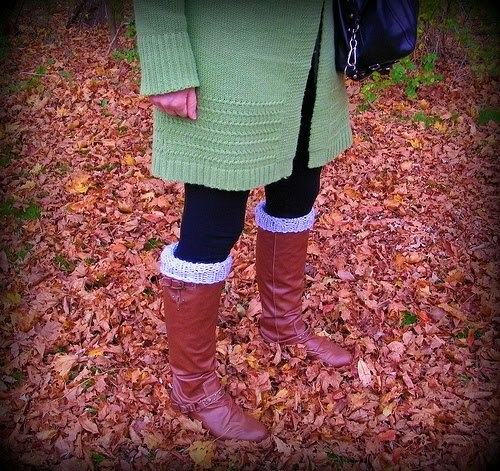 Perfect with boots, as Welly Warmers, or even some cute high heels. Adorable! A perfect addition to all your fall accessories. Fantastic! Love your boots too! These make me wanna run out and buy some boots! 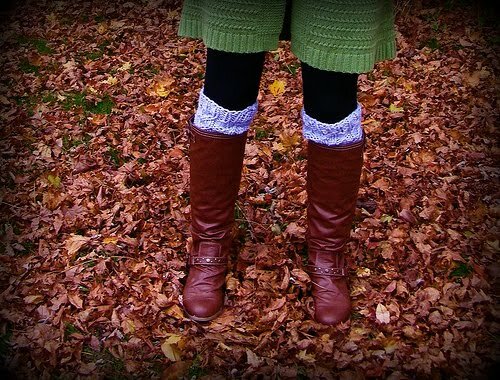 I never wear boots but for some reason this Winter I really really want a pair! 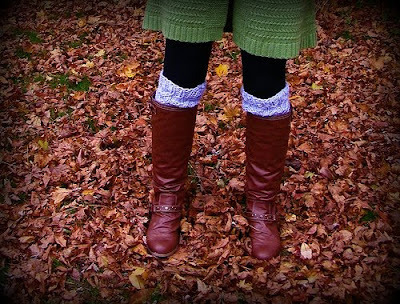 Yours are really cute and love the leg warmers with them too. This looks like a cozy/pretty piece. I think I will give these a try! Thank you for sharing!